Here is everything you need to know before you buy and install a home security system for your smart home no matter the size. Are you in the market for a home security system and not sure what to buy to secure your home? Or are you thinking of buying a house and want to get a home security system that not only protects your home from unwanted visitors but can save you money on your heating and electric bills as well as your home owner's insurance? 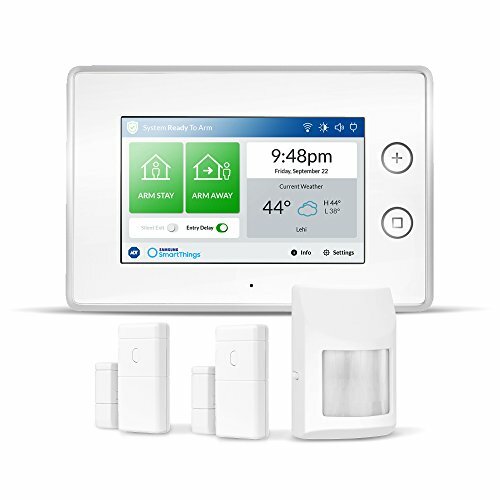 GearBrain is here to help you learn what you need to know before you invest in a home security system that is right for you. We understand shopping for a home security system can seem complicated at first. There are several choices for you to select from which might seem overwhelming. But, with the emergence of new home security system options in the past few years, today is a good time to be looking for a solution that suits your needs and budget. The latest systems are about as far removed from their predecessors as smartphones are from flip phones. Why? You can thank the widespread availability of home broadband access, home Wi-Fi networks, smartphones, and tablets. Today, security systems can be monitored and controlled from a smartphone, tablet or computer when you're at home, at work or from your car. They can also be controlled by voice thanks to Amazon and Google. These systems can send alerts to your smartphone when sensors detect unauthorized entry—and you can use your mobile device to stream live or cloud-stored security-camera video. You can also vie the videos on smart speaker displays or your smart TV. You can now control your home security systems from a tablet, smartphone and other devices, replacing the keypad on the wall. Security systems were pretty standard before 2010. A wall-mounted panel alerted a central monitoring station of a potential break-in, smoke condition, or carbon-monoxide buildup while you were away. The system sent alerts when door- and window-mounted sensors detected doors or windows being opened. Glass sensors detected if a window broke (or got smashed), motion sensors detected movement, and detectors picked up on smoke and carbon-monoxide buildup. Inside the home, a siren sounded. Monitoring-station employees received alerts via the security panel's landline-phone connection, built-in cellular radio, or a home's broadband modem. The central station then called the police or fire department—if they couldn't reach the homeowner through a speakerphone built into a wall-mount or tabletop controller, or through the homeowner's own cellphone. These days, monitored systems not only send alerts to your smartphone so you can view live security-camera video from afar, but they also connect wirelessly to smart-home products such as door locks, in-wall light switches, thermostats, motorized shades, garage-door openers, leak detectors, air purifiers, smoke detectors, sprinkler controllers, smart speaker assistants (like Amazon Echo or Google Home) and smart-plugs which can smarten up an electrical outlet. With an integrated security and smart-home system, you can use a smartphone or tablet to monitor and control smart-home devices while you're at or away from home. 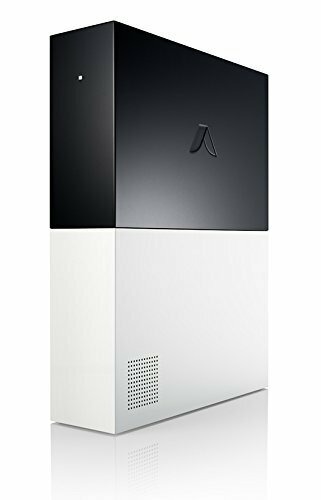 Many smart-home systems also automate home functions. They'll turn on interior lights and change thermostat settings when you open the front door or garage door after getting home from work. You can program them to automatically lock all doors at 11 p.m. or turn lights on and off at preset intervals when you're on vacation. You can also use them to check in on your kids when they get home from school or have your lights come on when you are within a certain distance of your home. This is called geofencing and many smart home devices have this capability today. 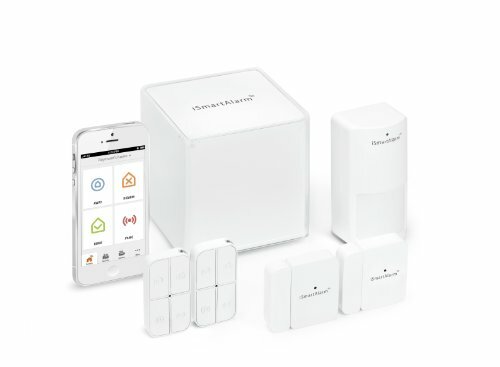 "The definition of home security has changed," says Daniel Herscovici, SVP and GM of Comcast's Xfinity Home security and home automation business. "Once it was about a loud siren and calling the police. Now security systems do more, like seeing if a package arrived on the front porch, checking on the children, or alerting you to water or gas leaks. They provide peace of mind." Smart security systems can be programmed to coordinate lights, locks even shades to give the appearance you're home—even if you're away. Today your options have grown beyond licensed security services that install their own systems, remotely monitor for a monthly fee, and then call the police or fire department in an emergency. These professionally monitored services now compete with systems that fall into two groups: the do-it-yourself (DIY) and monitor-it-yourself (MIY) category as well as the DIY install with professional monitoring. You install these systems yourself and, via a smartphone, tablet or smart speaker display, monitor the equipment on your own to eliminate recurring monthly monitoring fees. In a growing number of cases, the DIY system allows you to subscribe to an optional monitoring service—but at up to half the monthly cost of professional monitoring—to ensure that police and fire departments are notified of an emergency in case you are out of cellular range or can't respond to an alert. While new technologies are changing the definition of home security, more companies are entering the market to deliver more affordable DIY and MIY alternatives to service providers that install and monitor equipment. These providers charge monthly monitoring fees ranging from $30 to $70, depending on the package of sensors and smart-home products installed, says market-research company Strategy Analytics. They also usually require service contracts, which range from two years to as many as five. As part of their plans, the companies include a select number of sensors, cameras and other devices with no up-front charge. The companies value the included equipment in the hundreds of dollars and, in some cases, more than $1,000, depending on the package selected. Monthly service fees usually rise if you opt for additional devices, whether it's a security camera, smart thermostat, more sensors, and the like. Some providers, however, let you pay up front for additional devices in lieu of boosting monthly fees. Professionally installed security systems can include more than just cameras. Home owners can add on devices from thermostats to intercoms. Typically, legacy providers also charge an up-front fee (usually called an equipment, installation or activation fee) of anywhere from $99 to $199 depending on the installation, though the fees are often reduced or waived during special promotions. These providers also offer in-home consultation to find the vulnerable points of your house, and their installers verify a working install before they leave. They'll also find the location with the strongest cellular signal to place a wall-mounted or countertop controller, which uses a built-in cellular radio as either the primary means of communicating with a central monitoring station or as a backup to a broadband-modem connection. The top service providers, based on the size of their subscriber bases, include ADT, Vivint, Comcast Xfinity Home, AT&T Digital Life, and Protection 1, which is merging with ADT, says Joseph Branca, a Strategy Analytics analyst. And there are thousands more service providers, most operating only in one region, state, or community, adds Strategy Analytics analyst Bill Ablondi. Some of the key players are relative newcomers. Comcast's Xfinity launched in 2010, and AT&T Digital Life launched in 2013. You don't have to live with a wall-mounted security camera to know your house is safe. Security cameras have grown smaller, and can be tucked away on shelves, window sills and book cases. Other newcomers play by a different set of rules. Many eschew touchscreen or keypad controllers, relying exclusively on smartphones, tablets or laptops for control. DIY-installed systems sold with professional monitoring, usually without a two-year or longer contract. DIY/MIY systems in which you take over monitoring-service duties. No monthly fees are required. With a professionally monitored DIY system, you pay a monthly monitoring fee, but the fees start at only $15 to $25 per month compared to the $30 and up charged by traditional monitoring services, says Ablondi of Strategy Analytics. Also with most monitored DIY systems, you don't have to commit to two or more years of service (like you once had to do to buy a cellphone). So you can pay on a month-to-month basis and switch to self-monitoring at any time. You can also pay in advance for a year of service at a discount, like you do with satellite radio. Other vendors of professionally monitored DIY systems include SimpliSafe, Scout Alarm and GetSafe Home Security. And more are on the way. In 2017, LG launched a DIY security/home-control system offering optional ADT monitoring service, which started at $20 per month. The LG Smart Security device was the first DIY security system to offer ADT service. 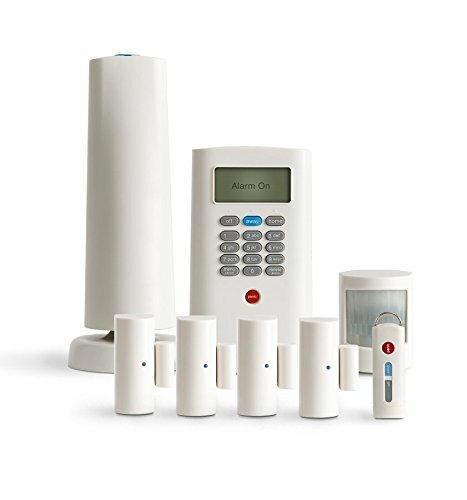 Likewise, Abode, SimpliSafe, Scout, Lifeshield Home Security Systems (formerly owned by DirecTV), Ooma Home Secutity and GetSafe offer MIY options for their professionally monitored DIY systems. For their systems, self-monitoring is free, except in the case of GetSafe. That company's MIY option requires a0-per-month cellular plan to connect GetSafe systems to the outside world. Other companies' DIY systems are pure MIY plays with no monitoring-service option. 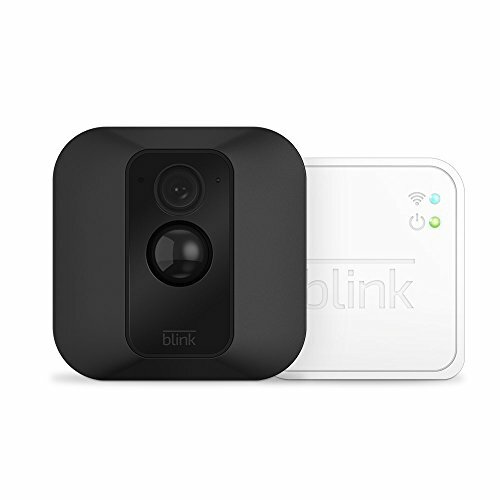 They include systems from Canary, Blink, Resideo (division of Honeywell), Arlo, iSmartAlarm, Wink, and Netatmo. 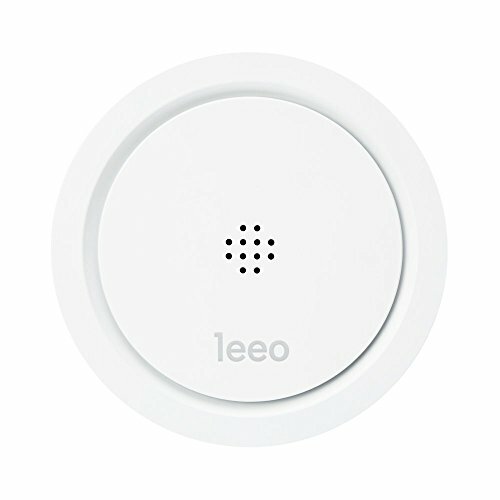 Leeo is a standalone security device that links to other monitors in your home, alerting you to smoke or carbon monoxide leaks. Choosing none of the above doesn't mean you're out of choices. Another option is a DVR/security-camera package or home monitoring systems, which includes a digital video recorder connected via coaxial or Ethernet cable to two or more security cameras. When a camera's motion sensor detects movement inside or outside the house, the system captures video for storage on the DVR's hard drive. These type of systems are normally used by small business as well as homeowners with very large homes. In 2009, camera packages made the smartphone connection for the first time to send motion-detection alerts to your smartphone and let you stream live camera video. Suppliers of DVR packages include NightOwl, Lorex by Flir and Swann. Other security options include standalone motion-sensing Wi-Fi cameras and floodlights which have HD security cameras.. These devices stream live video to smartphones, which also access security-camera clips stored in the cloud. They're available from dozens of companies, including Nest Cam, Flir, Maximus, Ring and Logitech's Circle 2. We are also starting to see swecurity cameras come to market that offer facial recognition. Cameras by Ooma Butterfleye and Lighthouse have very good facial recognition technology but it comes at a price. There are other devices, like Leeo, will connect to your smoke and carbon monoxide alarms, alerting you through your smartphone when these monitors are triggered. However, when looking at these type of cameras make sure you learn if there is a charge for storing the videos. Some of the manufacturers offer free video storage in the cloud for 24 hours up to 7 days then start charging you a monthly fee. Others charge you a monthly fee based on the GB of videos you want to save. One way around paying this monthly fee would be to look for cameras that have microSD slots for you to store videos on the cameras. You will be able to access the videos via your smartphone if and when needed. Another popular gadgets among homeowners is smart video doorbell. 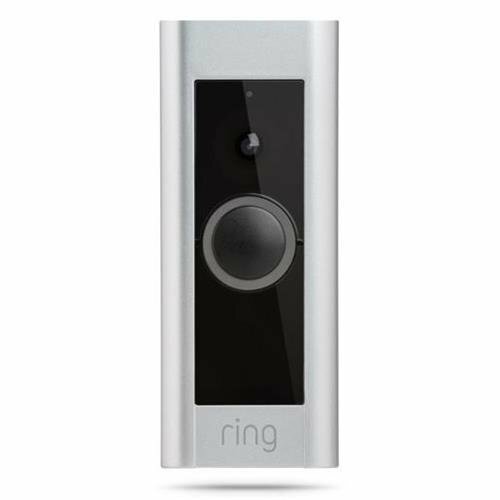 It not only alerts your smartphone when someone rings the bell, but it lets you see who's at the door and talk to them in real time from anywhere, thanks to the doorbell's embedded video camera, speaker and microphone. They're available from Ring, SkyBell, August Home, and others. These and other new product options make security more affordable, and they bring smart-home technology—once limited to high-priced custom-installed systems—to everyone. If you are a renter or homeowner, we recommend you decide what you want to secure and select a system that fits your needs. Also make sure the system can easily be expanded or transported, depending on how long you plan to live in your new smart home. If you need help installing a home security system, go to HomeAdvisor.com. They can help find someone in your area. Review was conducted by Joseph Palenchar for GearBrain.